Jawohl! Trieblaut zurück im Waggon! Mit neuer LP im Gepäck! Wird so laut, wie es gut ist! Der Frankfurter Lokalmatador Siegfried Kärcher (Force Inc./Mille Plateaux) leitet mit krachigem Granular Noise Click n Cuts den Abend ein. Visuals: VJ Anton Sahler. 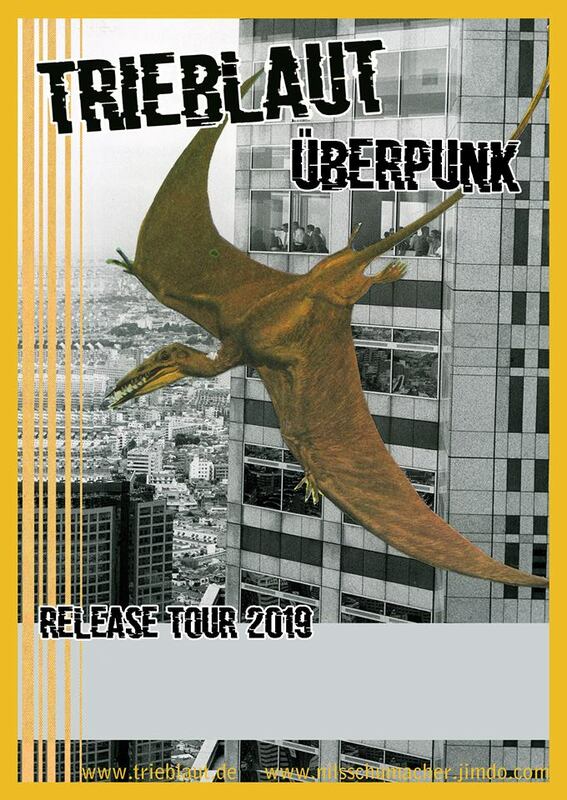 It’s time for Überpunk! Oliver Zorn (bass, voc, lyrics) and Alwin Weber (drums, voc, electronics) creating a unique irrestible groove melange with distorted bass sounds, feedbacks, pulsing beats, sampler electronics and haunting vocals to racing through the soul-ladders! The musical hallmark of the no trend conform duo is the fusion with elements of noise-rock, post-grunge, punk avantgarde and electronica. A multi-colored sound carpet that strikes a new string of rock with its danceable bass rhythms far from genre standards!